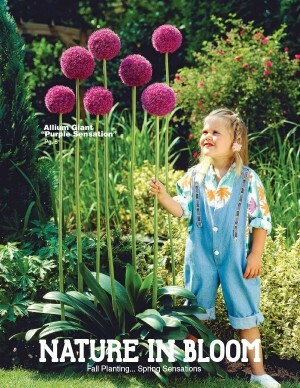 JustFundraising.com offers Spring and Fall Flower Bulb Fundraisers. Both offer a vast selection of flower bulbs, all guaranteed to bloom! In addition to bulbs, our Spring flower bulb fundraiser features plants, seeds, flower mats, hanging gardens. Our flower bulb supplier has been around for over 30 years and quality has always been their tradition. Your supporters should not be surprised if these flowers are the most beautiful that they've ever seen. It's always nice to run a fundraiser which not only raises much needed funds but also beautifies your local community and allows your supporters to be proud of their gardens. Your Flower Bulb Fundraiser is FREE to start, so choose a program below, and request your free order-takers, today. 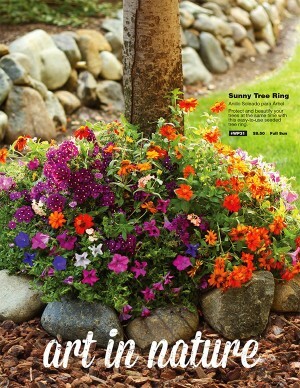 The Art in Nature Spring Flower Bulbs offers a wonderful and affordable selection of 30 items, including an absolutely spectacular Colorfest Collection an 80 bulb collection! as well as a Garden Spectacular Collection a thrifty collection of 57 bulbs! Grow profit! JustFundraising is the Smart Choice for your Flower Bulb Fundraiser! Flower fundraisers have no up-front cost! Flower bulbs are a great easy-to-sell fundraising option! Our line-up of flowers makes it possible for your to do flower fundraising all year-round! Don’t forget to bring the brochure with you! The beautiful pictures of these flowers I bloom will do most of the selling for you! Your Flower Bulb Fundraiser is FREE To Start! It costs nothing to get started! Let us know which flower program you want and we’ll send you order-takers for each of your sellers, absolutely free of charge! If you need help deciding, let our fundraising experts help! Our friendly staff can be reached at 1-888-440-4114.